From the verb sacar, to remove or displace, sacadas play into the game-like aspect of tango where the leader “invades” the follower’s space. Tango, a dance of seduction and betrayal, is rife with such play. During the best-executed sacadas, the follower doesn’t even know her space has been invaded. Come learn the secret of—as they say in that American pastime—stealing bases. 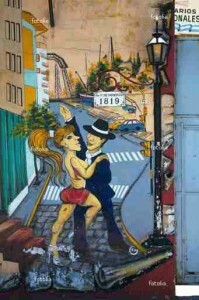 Always a good time at La Pista Tango Dance Studio, 768 Brannan St., SF (between 6th & 7th streets). You learn tango from the feet up but dance it from the heart down.